PocketGIS® is a professional mobile Geographical Information System (GIS) for field data capture and surveying which can capture & edit map geometry and enter data using forms. 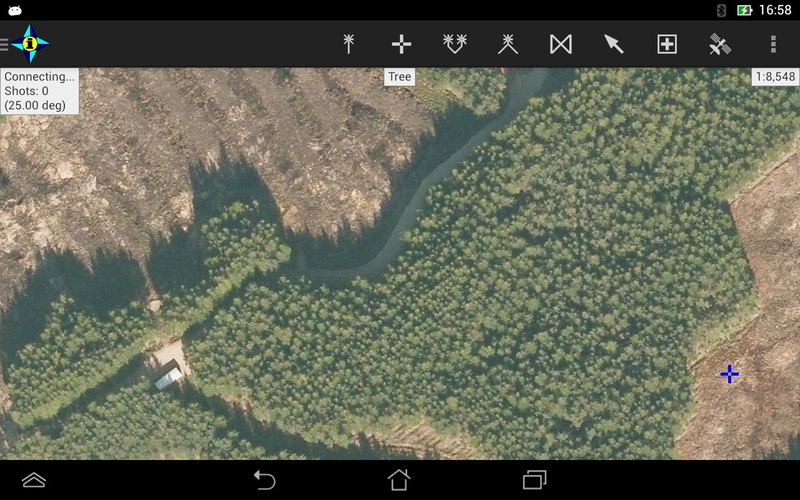 PocketGIS runs on Android® 4.0 and later and is designed for tablet and handheld screens. 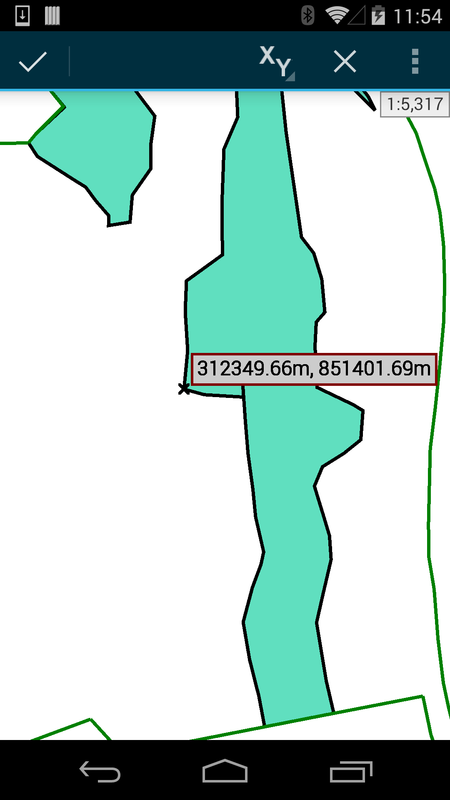 PocketGIS is also available for Windows 10 and Windows 10 Mobile. PocketGIS can be linked to a devices internal Global Positioning System (GPS or GNSS) receiver, or an external receiver via Bluetooth. This provides real time location tracking and data capture. 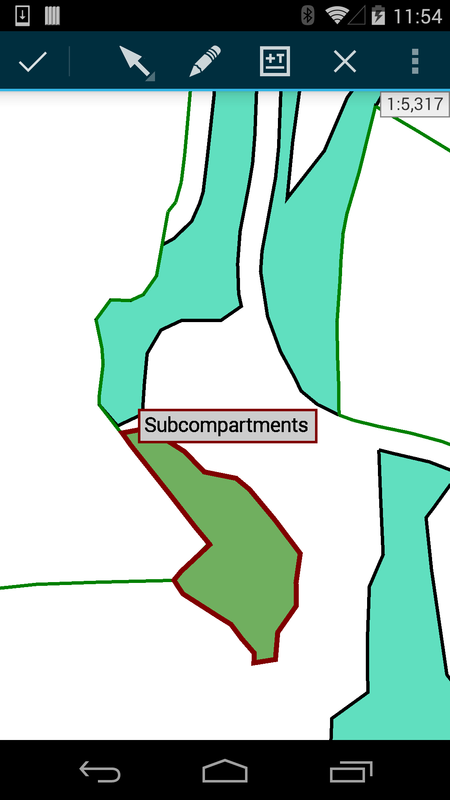 The GPS position is projected to the chosen coordinate system in real time offering instant verification of survey results. 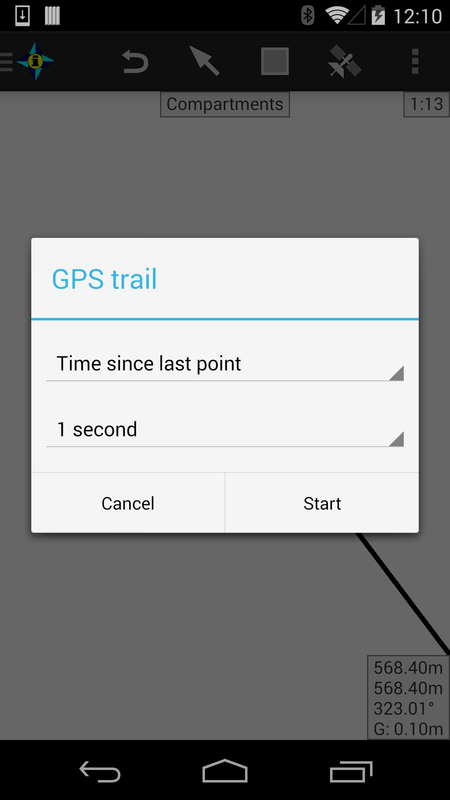 The GPS trail function specifies a time or distance interval to automatically create points from the current GPS position. 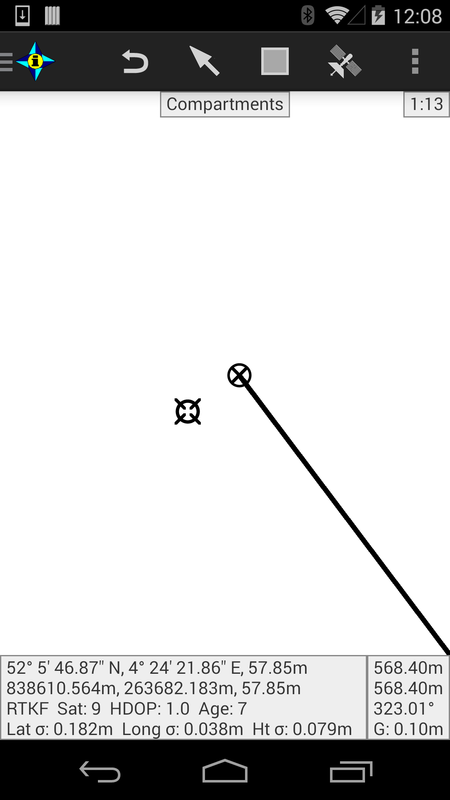 This lets you capture points automatically while walking a line or route. Advanced settings allow filtering of GPS quality so you can ensure the accuracy of captured points. You can also take an average of a number for GPS position readings and compensate for antenna heights. National grid datum corrections are supported and these are added on request (e.g. OSTN15, ETRS89, RH2000, OSGM15, etc.). 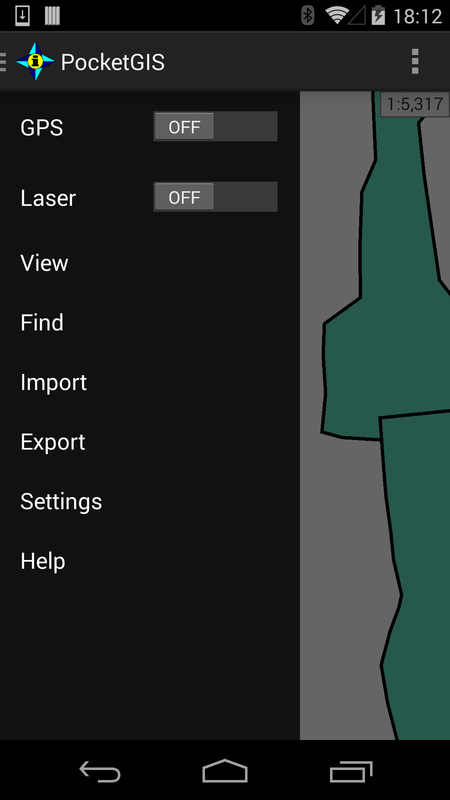 PocketGIS can also be connected to a laser rangefinder or total station and provides a comprehensive set of laser survey functions. The laser functions integrate with GPS to survey offset positions and calculate height differences. 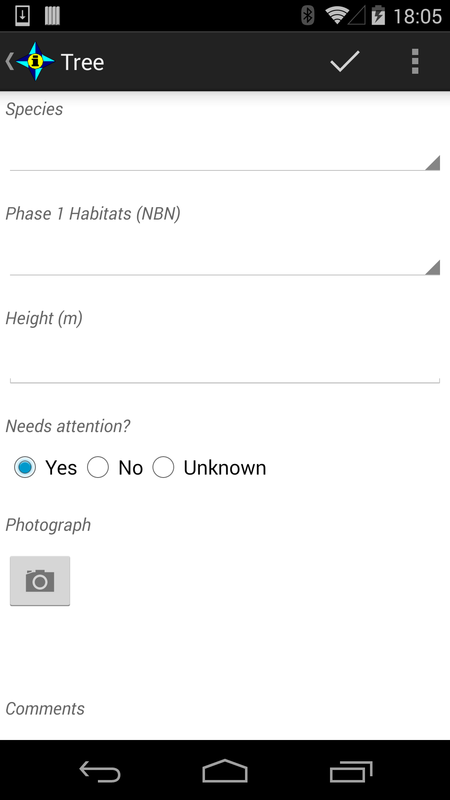 You can take photographs from within the data collection form using your device's built in camera to link the picture to captured points, lines or areas. You can scan barcodes directly into form data capture fields and the search box. 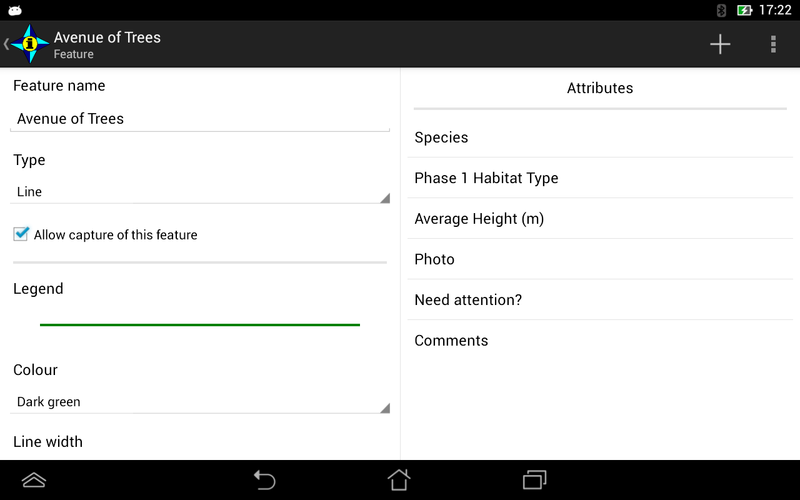 You can tap on points, lines areas or text (features) to display and update information. 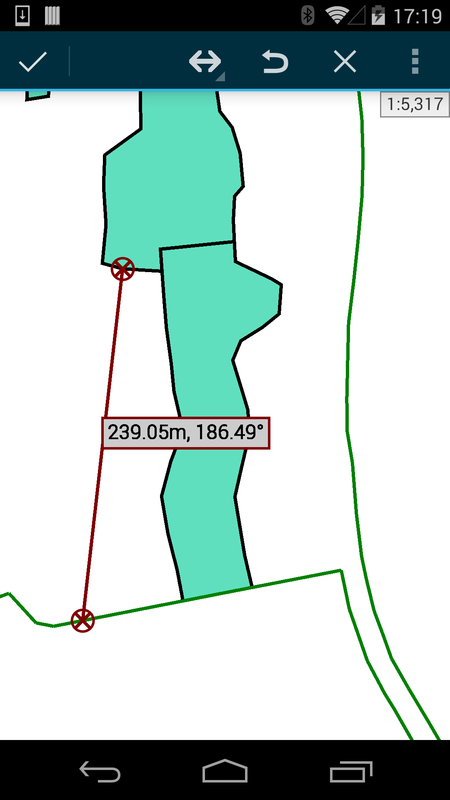 You can measure distances or areas and display grid references. 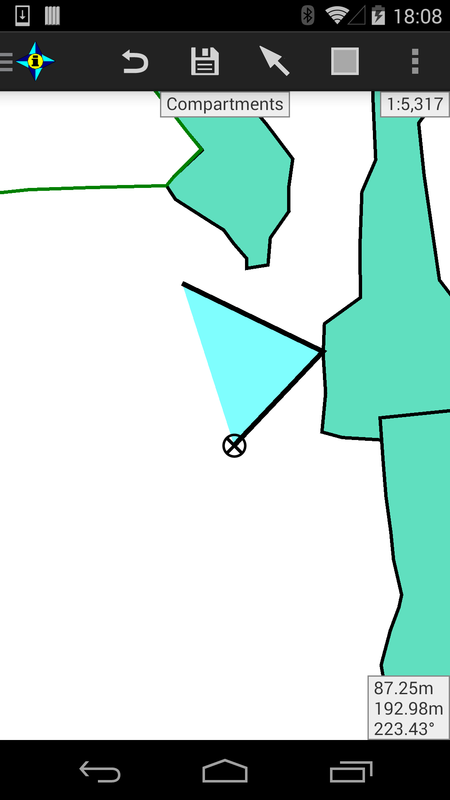 You can also move points and edit lines. 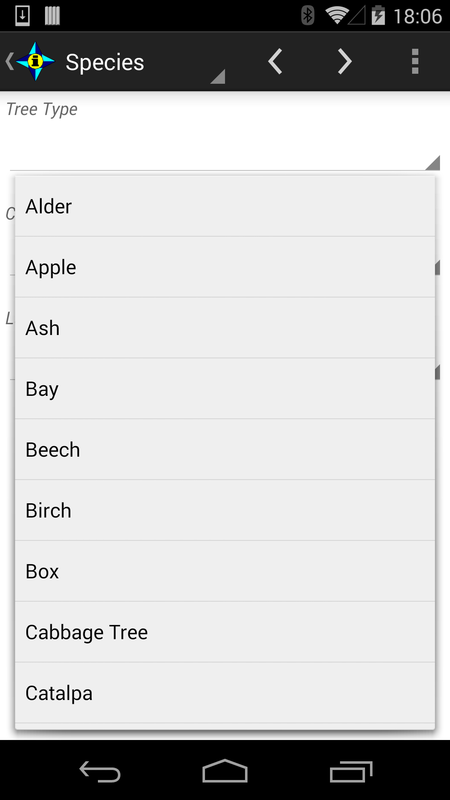 You can search for data by type or value. 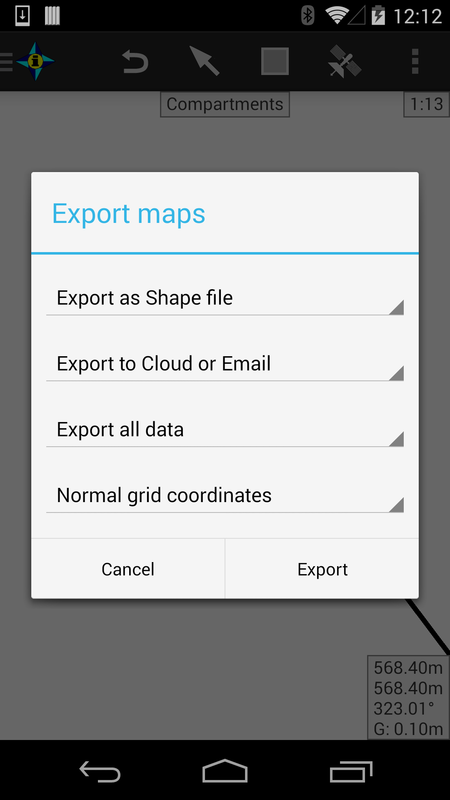 PocketGIS can import and export data from cloud services such as Dropbox® or Google Drive® or via email. 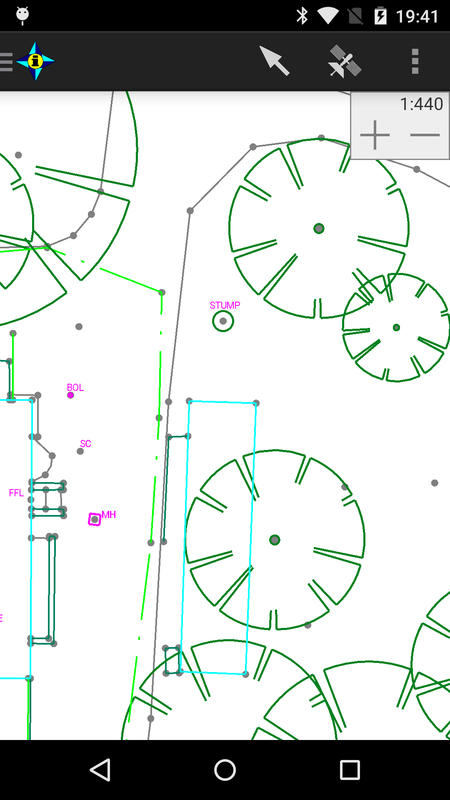 Currently Shape, DXF, Comma Separated Values (CSV) and TIFF & JPEG raster are supported. Additional formats will be supported in due course. 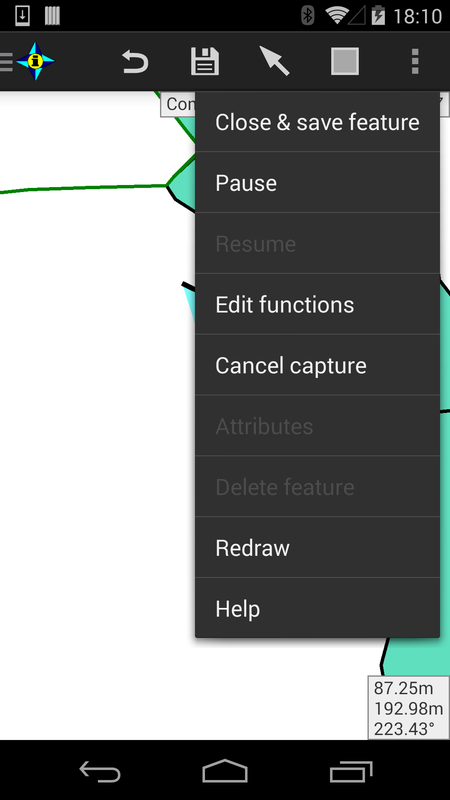 You can specify capture features, design data capture forms and customise imported data from within the application. No additional software or servers are required. We base our development schedule on the requests of our customers. 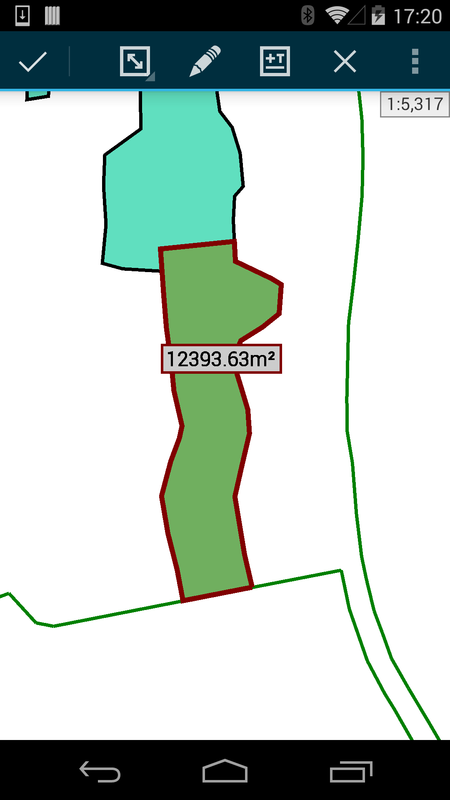 If PocketGIS doesn't meet your needs then contact us with your requirements. PocketGIS works well on regular Android tablets and phones but is the perfect way to get the most from the latest field hardware such as the Trimble® TDC 100, Spectra Precision MobileMapper® 50 or SXBlue SXTab 7A and S50. Alternatively rugged field hardware can be paired with high accuracy external GNSS receivers such as the EOS Arrow, SXBlue range and the Trimble R1 GNSS Receiver. If you would like to try PocketGIS please complete the request form and we'll send you a download link and trial license key. 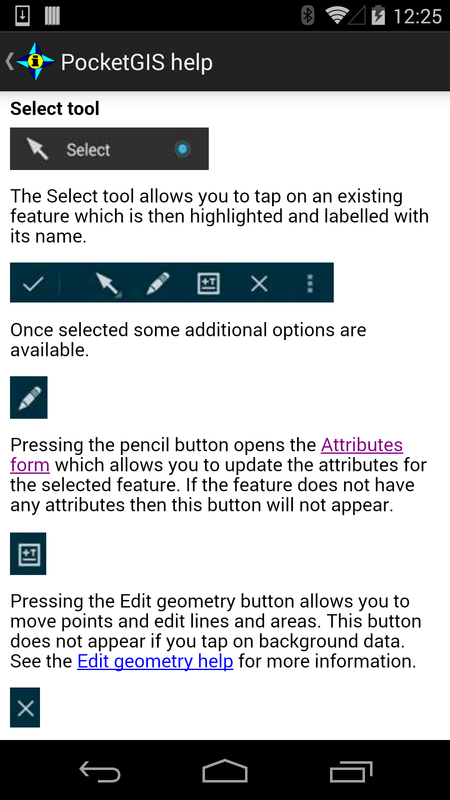 See the gallery below for detailed views of PocketGIS for Android.